As your business has grown, so has the amount of product you’ve had to keep on-hand to fulfill customer demand. Because of this growth, you’re faced with a decision: handle the warehousing yourself, or outsource it to a third-party logistics company? Though you may think using a 3PL may seem like overkill for your small business, there are many benefits to partnering with a quality warehousing and logistics company instead of handling everything yourself. While it may not seem like it on the surface, working with a 3PL could actually save you money over handling all your warehousing yourself. If you Do It Yourself, you have to find rental space to store your products. It’s unlikely you’ll find a space just perfect for your needs – Many affordable spaces will be too small and many spaces with enough room for you will cost beyond your budget. Additionally, rental warehouse space may not come with shelving and equipment, which you’ll need to make proper use of the space. These costs can easily add up to outpace your monthly earnings! By using a 3PL, you’re making use of currently unused space in a building already rented by someone else. You don’t directly have to hunt for or rent the space, and all the other companies that utilize your chosen 3PL help split the cost of the rent and other equipment. With this option, you’ll get the amount of space you need at a much lower price. If you’re choosing warehouse space on your own, you’re either looking for space that fits your business right now, with the risk that you could outgrow the space as your business increases, or you’re looking for a space to grow into. Either one of these choices could mean wasted time, overspending, and headaches for you. 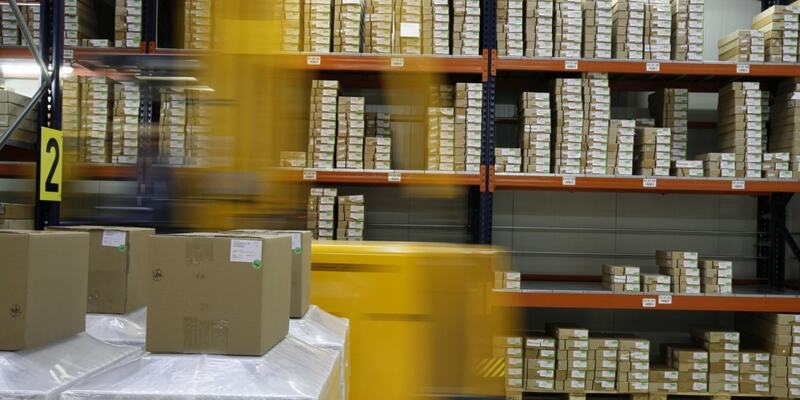 With a 3PL, you have warehouse space that scales as your business grows. If you only need a little bit of space now, that’s fine! You just pay for the space you need and, if you need more down the road, the 3PL has the infrastructure in place to expand the amount of space your products take up. Renting your own warehouse space means you are likely also responsible for all other aspects of your product distribution chain: labeling, picking, packing, shipping, and processing returns. While this may have worked when your business was smaller, it now means you have more to do and may need to hire help. That can be expensive and frustrating, as finding dependable people to support your business isn’t always easy. By using a 3PL, you have access to all these services under one roof, and you never have to worry about doing the hiring! From order processing to phone answering, picking and packing to processing returns, your 3PL can offer you everything you need to get your products from the warehouse and into your customers’ hands without you ever having to lay hands on anything. This frees you up to develop new products, network, and hone your marketing strategy to help your business continue to grow and thrive. Since 1984, Cannon Hill Logistics has offered dependable, affordable warehousing, distribution, and logistics services to businesses throughout the world. We pride ourselves on designing custom solutions to meet the unique needs of each of our client partners. Our location near the busy Port of Baltimore and Baltimore-Washington International Airport means we can get your products to your customers with minimal shipping time. Call today for your quote to help your business succeed! This entry was posted in Logistics Services and tagged build your business, commercial warehousing, why work with a 3pl. Bookmark the permalink.